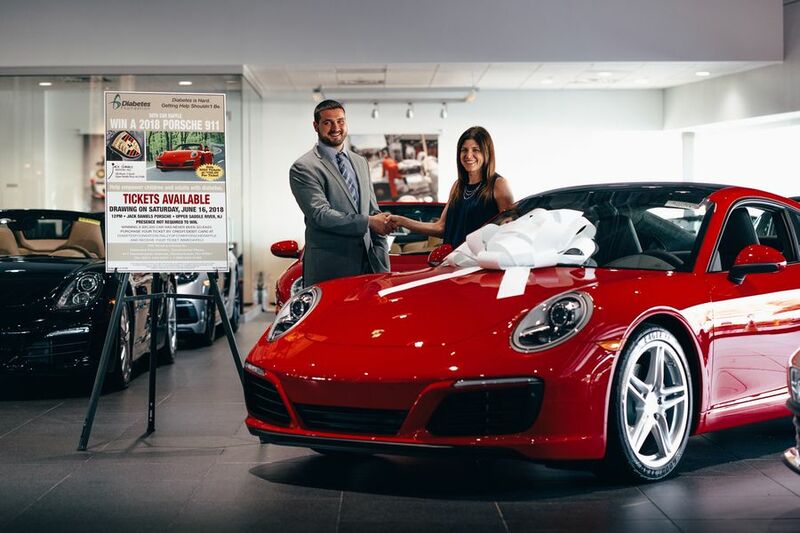 HACKENSACK, N.J. - June 4, 2018 - PRLog -- For the 30th consecutive year, the Diabetes Foundation (http://www.diabetesfoundationinc.org/) (DF) will raffle a 2018 Porsche 911 to one winner. Limited tickets are still available for the car raffle which will be held at noon on Saturday, June 16, 2018 at the Jack Daniels Porsche dealership in Upper Saddle River, New Jersey. Two-thirds of the 3,000 tickets have already been sold. Raffle tickets are $100 each, and all proceeds benefit the organization's ongoing programs and services. For a chance to win, contact the Diabetes Foundation at (201) 444-0337 or visit their website at https://diabetesfoundation.rallyup.com/porscheraffle. "Jack Daniels' support of our fundraising efforts helps us help our community. As a non-profit, we rely heavily on generating funds from events and activities such as these which support the free programs we offer to assist those in need," said Ginine Cilenti, executive director of Diabetes Foundation which offers access to medication, mentorship, coaching and education to individuals living with diabetes. "Our goal is to help people living in our region manage their diabetes so they can maintain healthy lifestyles." This year's brand new car is a red 911 Carrera valued at $95,000, equipped with a twin-turbo three-litre six-cylinder Boxer engine that makes 370 horsepower. Sports car lovers will appreciate the Carrera's track speed that tops out at 183 miles per hour, accelerating from zero to 60 mph in 4.4 seconds. It uses an estimated 20 mpg in the city and an estimated 29 miles per gallon on the highway. The car also features 19-inch wheels, all-around four-piston aluminum monobloc fixed brake calipers and a communication management system that includes navigation. Another fundraising event is slated for the fall – the Diabetes Foundation's annual Golf Classic to be held at the Ridgewood Country Club in Paramus, New Jersey. Groups and individuals interested in attending the September 24 golf event can register by calling (201) 444-0337. For additional information about services and programs offered by the Diabetes Foundation, visit the organization's website: www.diabetesfoundationinc.org, email gcilenti@diabetesfoundationinc.org, or call (201) 444-0337. Follow Diabetes Foundation Inc. on LinkedIn (https://www.linkedin.com/company/2123509/), Twitter (https://twitter.com/DiabetesFndtn) and Facebook (https://www.facebook.com/diabetesfoundationinc/). Diabetes Foundation Inc. is dedicated to supporting New Jersey residents living with diabetes by offering programs that provide medication assistance, one-on-one support and local resources. Since 1990, adults and children living with diabetes have utilized the Diabetes Foundation's services to access costly medications, education programs and local resources to manage diabetes and adopt a healthy lifestyle. The Diabetes Foundation serves insured and uninsured women, men and children of all ages, with all types of diabetes, who live in New Jersey. Photo Caption: Pictured (L-R) are Vincent Greco, Porsche Certified Brand Ambassador, and Ginine Cilenti, executive director of Diabetes Foundation.